Network micro-segmentation wraps security controls around much smaller groups of resources (often down to a small group of virtualized resources or individual virtual machines). Micro-segmentation has been understood to be a best practice approach from a security perspective, but has been difficult to apply in traditional environments. 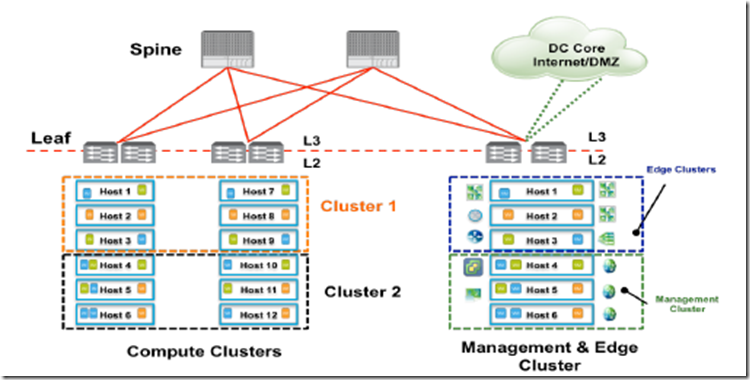 Workload placement and mobility is limited: The current device-centric approach to networking confines workload mobility to individual physical subnets and availability zones. In order to reach available compute resources in the data center, network operators are forced to perform manual box-by-box configuration of VLANs, ACLs, firewall rules, and so forth –> process is not only slow and complex, but also one that will eventually reach configuration limits (e.g., 4096 for total VLANs). Increased complexity in supporting the dynamic nature of today’s cloud data center environments. 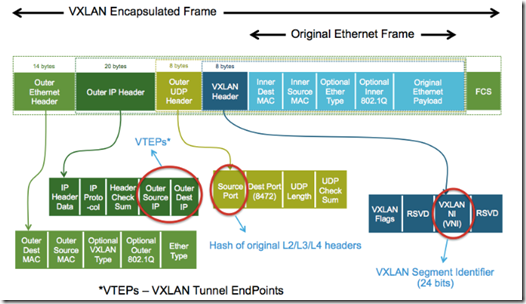 ECMP (Equal cost multipath routing) and DLR (Routing in general): routing between ip subnets can be done without leaving hypervisor with minimal CPU/memory host overhead. DLR provide optimal E-W communication and Edge provides N-S communication (external networks included) with ECMP based routing. DFW for L2-L4 traffic (is done directly at the kernel and vNIC level). 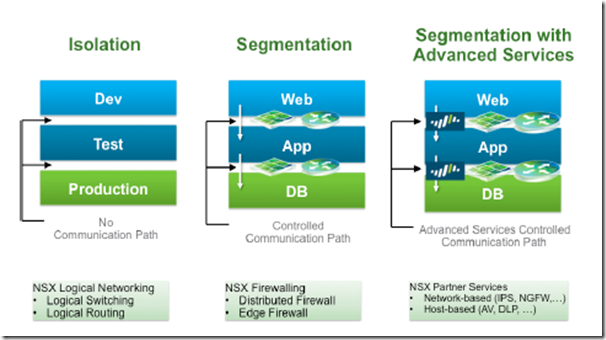 NSX has also an extensible framework allowing security vendor to implement 3rd party software (such as L7 protection , IDS/IPS). 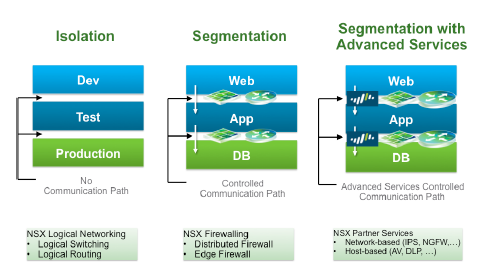 NSX logical networks leverage two types of access layer entities –the hypervisor access layer and the gateway access layer. 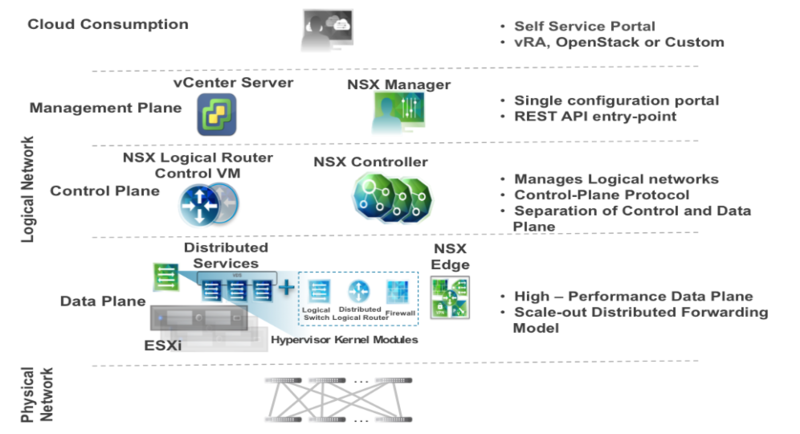 The hypervisor access layer represents the point of attachment to the logical networks for virtual endpoints. The gateway access layer provides L2 and L3 connectivity into the logical pace for devices deployed in the physical network infrastructure. 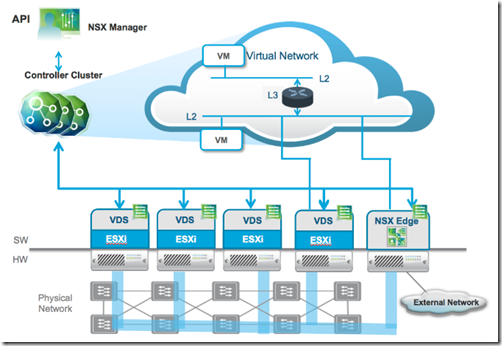 NSX Manager data could be backed up using on-demand backup functionality (NSX Manager UI) or scheduling a periodic backup. 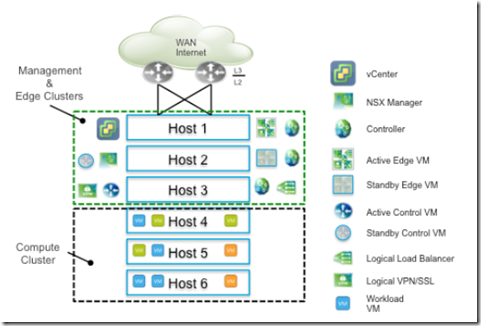 Note: Restore is allowed only from fresh NSX deployment. 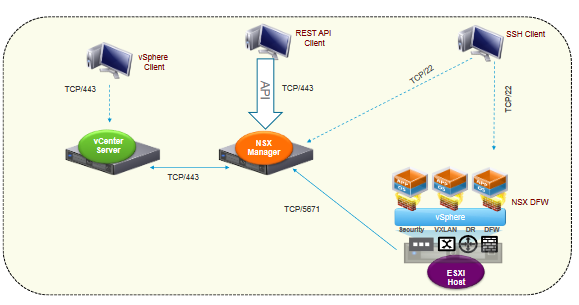 Each NSX deployment requires: min 3 nodes with 4 vCPU (with 2048 Mhz reserved, 4 GB RAM and 20 GB OS) each and should be connected each other and with NSX Manager using 3 distinct ip addresses. 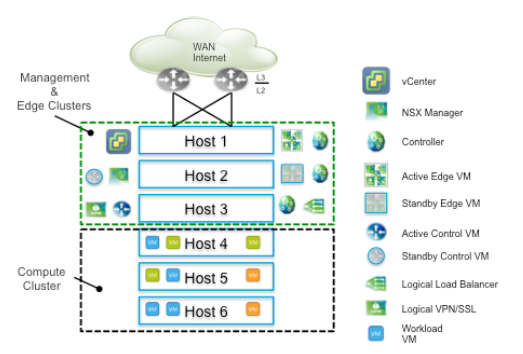 Logical networks implemented by NSX using VXLAN overlay technology can be deployed over common data center network topologies. 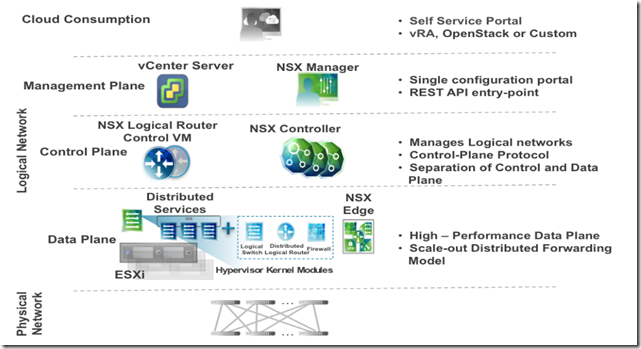 This section of the design guide addresses requirements for the physical network and examines design considerations for deploying NSX network virtualization solution. 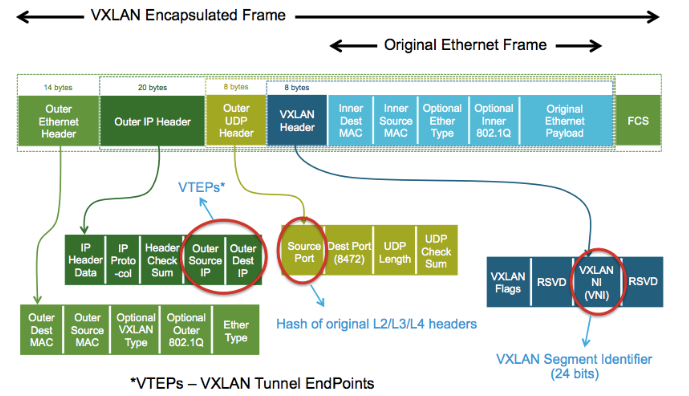 jumbo MTU support (VXLAN adds 50 Bytes to each original frame –> leading MTU size at least 1600 Bytes). 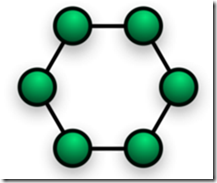 If one node or its connection breaks it doesn’t affect the other nodes and connections. The ability to self-configure enables dynamic distribution of workloads, particularly in the event that a few nodes should fail. This in turn contributes to fault-tolerance and reduced maintenance costs. 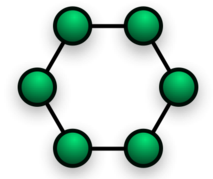 While star and ring are quite vendor neutral between nodes (because they speak a standard language), the mesh networks requires more vendor dependency due to interoperability that sometimes is not fully adopted by all switch vendors. 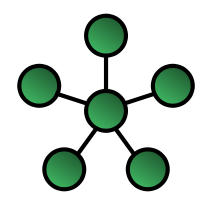 Leaf-spine is a two-layer network topology composed of leaf switches and spine switches. Latency and bottleneck minimized because each payload travels to a spine switch and other leaf switch. 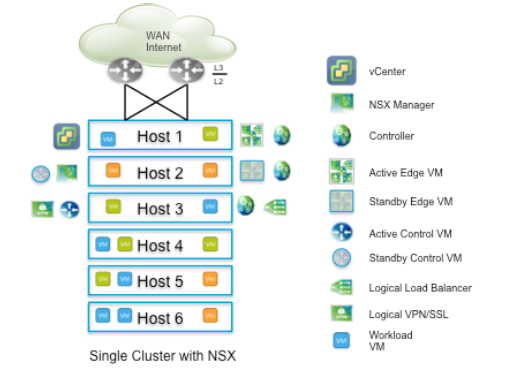 Small design: A small-scale design can start with single cluster having few ESXi hosts, consisting of management, compute, and edge components along with the respective workloads. This is commonly called a “datacenter in a rack” design and consists of pair of network devices directly connected to WAN or Internet servicing few applications. Medium design: Medium size design considers the possibility of future growth. It assumes more than one cluster, so a decision is required whether any clusters can be mixed while optimally utilizing underlying resources. 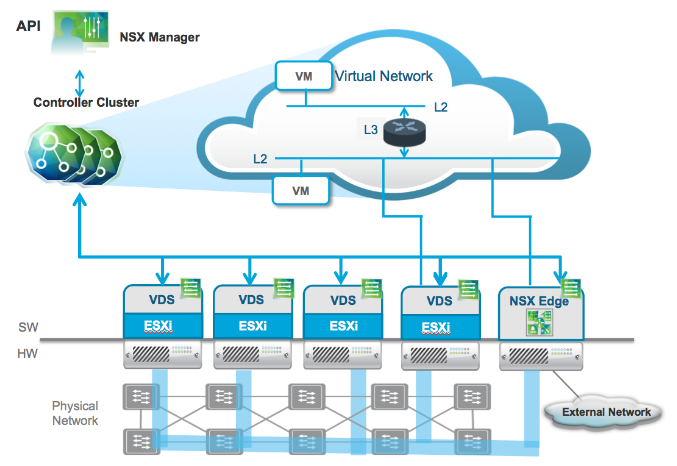 The standard edition vSphere license is assumed which now supports VDS for NSX deployments only. If throughput greater than 10 GB is desired, convert the active-standby gateway to ECMP mode with the same vCPU requirement, however stateful services cannot be enabled. 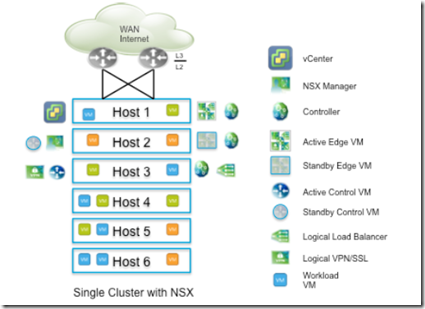 Instead, enable the load balancer service or VPN on an Edge in the compute cluster and use DFW with micro-segmentation. Large scale design: Large-scale deployment has distinct characteristics that mandate separation of clusters, diversified rack/physical layout, and consideration that is beyond the scope of this document. 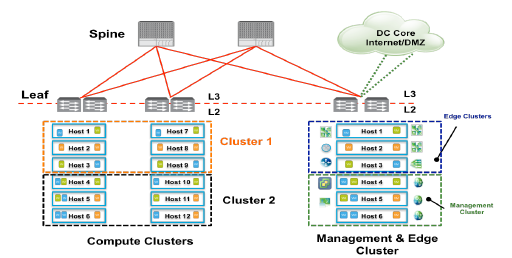 Datacenter designs generally involve 3 different types of clusters – management, compute and edge. VDI deployments may also have desktop clusters. Compute,desktop and edge clusters must be prepared for the distributed firewall. vMotion Across Hosts in the Same Cluster (vSphere 5.x, 6.0): Ensure that when new hosts are added to a cluster, they are monitored for VIB deployment. Deploy VMtools in guest VM. 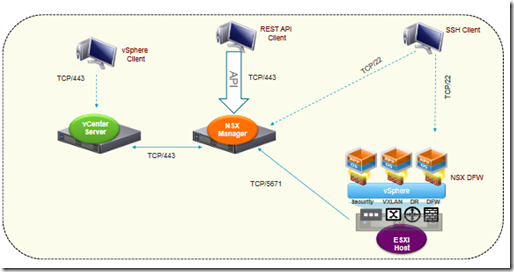 Enable trust on first use of IP address for a VM.